Information Articles - Regulation Changes Sept 2003 - Ownership Identification Inc. In early September word was received from Victoria that some long awaited changes to the Livestock Identification Regulations had finally been approved. As well the Board of OII has also developed some policies that will impact on the livestock producers. 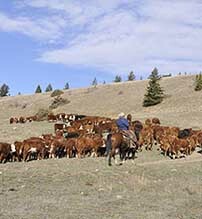 One major change to the Regulation impacts on producers moving cattle from one brand inspection district to another for summer grazing and then home in the fall. These cattle will now have to be inspected before they leave the brand inspection district where they grazed to another brand inspection area. The other significant change affects inspections at slaughterhouses in the prescribed area. The Act defines ‘slaughterhouse’ as ‘a building or place where livestock is slaughtered or held for slaughter’. Brand inspection can now take place at any slaughterhouse and the operator must notify the local inspector within 24 hours of receiving the livestock. As well, the slaughterhouse must collect the brand inspection fee. If you are aware of slaughterhouses that are not currently being inspected, please advise your local inspector. 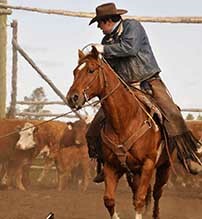 Horses must be inspected when going to a feedlot, slaughterhouse or Alberta public sale. They will be inspected at any public sale in the prescribed area of B.C. 1. fees will be collected when inspections are carried out. 2. 24 hours notice may be required in advance of an inspection. 3. inspectors are not required to inspect during hours of darkness but may at an outlet with suitable lighting. 4. it is the contributor’s responsibility to ensure brands are visible and readable at the time of inspection. 5. hot iron or freeze branding are the only legal methods of branding. The iron sizes must conform to the allowable sizes. If you have any questions on the above, please contact the OII office (250-314-9686) or your local inspector.